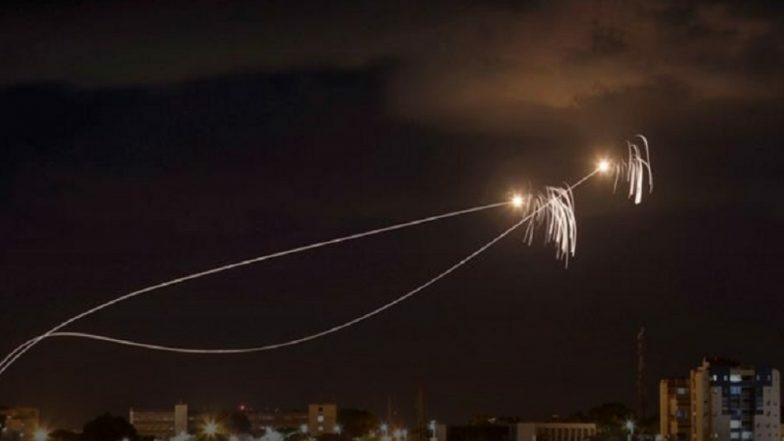 Toronto, March 16: Israel’s Air Force pounded the Gaza Strip after rockets were allegedly fired near Israeli city of Tel Aviv. The Israeli Defence Forces announced on its Twitter account that it had targeted 100 Hamas bases in Gaza, which included an office complex used as a command centre, an underground complex that served as its main-rocket manufacturing site, and a centre reportedly used for drone development. IDF spokesman Brig-Gen Ronen Manelis said the initial rocket fire had come as a "surprise", and that there had been no advance intelligence warnings. Israel’s swift and sweeping response to Hamas’ rockets came after the Israeli city of Tel Aviv was targeted for the first time since 2014. The incoming missiles into Tel Aviv set off air raid sirens across the city while Israel’s Iron Dome interceptor missiles were fired skyward and detonated, causing explosions in the sky. No person was reported killed in Israel’s air raid however four persons in Gaza were injured. But in a strange turn of events, Hamas insisted on Twitter that its armed wing was "not responsible" for the launched rockets, while the Hamas-run interior ministry in Gaza said the rocket fire went "against the national consensus" and vowed to take measures against the perpetrators. The flare-up in tension between the Israel and Hamas comes just three weeks before Israel holds its general election on April 9. Meanwhile, the organizing committee for the March of Return in Gaza announced that it had called off the weekly protest along the Israel-Gaza border in light of the Israeli response. The committee said in a statement that the protest, which has been held every Friday since March 2018, was canceled in an effort to prevent further escalation and Palestinian casualties.